Introduction: Homeschooling is nothing new. Did you know that all of the following presidents were homeschooled? John Adams, John Quincy Adams, James Garfield, Andrew Jackson, Thomas Jefferson, Abraham Lincoln, James Polk, Franklin Delano Roosevelt, Theodore Roosevelt, and George Washington. Anyway, some years ago I wrote a monthly column for a homeschool group my family belonged to on Long Island, New York. What follows is one of them. It's a humorous peek into the less orderly aspect of our days, you might say. If you're a homeschooling mom, or know one--you'll enjoy this. 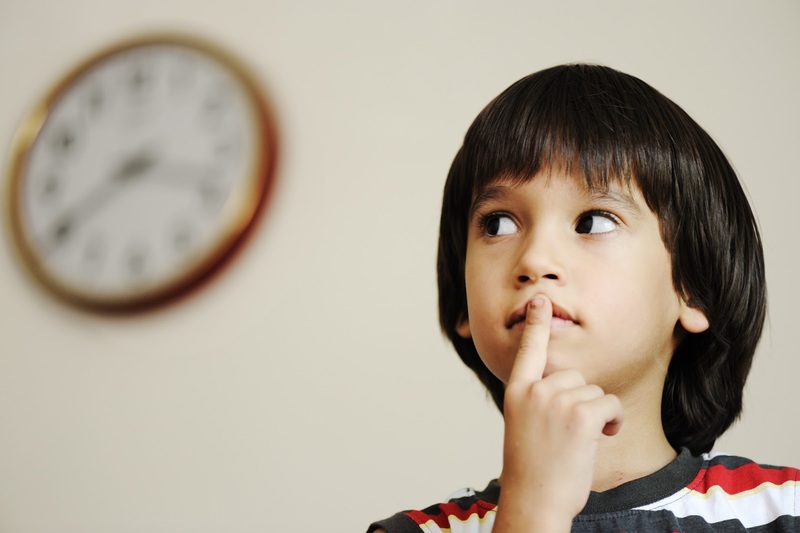 Do your children ask during school hours if they can take just a little, teeny five-minute break? Mine do. I'm not sure how they came up with the idea that they are entitled to do this (probably the first time they tried it, and it worked!) but they insist that five-minute breaks should be part of every home-schooling day. Lunch and recess? No problem. What's terrible about a little, innocent, five-minute break, you ask? "When I finish my math can I take a five-minute break?" "When I'm done with spelling, can I?" STOP NOW FOR A FIVE-MINUTE BREAK. Why not? They seem to be everywhere. Really. To them, being granted permission for a break is like getting a key to a magical door to another world: They step into it hoping they will never have to come back. Take my oldest son, for instance. Hungry for his next five-minute fix, Brian's eyes, which are large anyway, suddenly take on beagle proportion, and he puts on all the puppy-dog pathos he can muster. ("Please, Mom, p-l-eeease, can I take a 5-minute break?") And despite the five minutes stretching into ten or more, I am then subjected to a barrage of complaints such as, "Oh, already!? I just started playing with Matt! It can't be five minutes already!" ME: Well, actually, it's been FIFTEEN minutes! BRIAN: (laughingly) Fifteen minutes? No way! No way! Despite his blossoming skills at telling time, he just cannot fathom the realities of a sixty-second minute. Somewhere in the mysterious regions of his just turned seven-year-old brain, he thinks of five minutes in terms of seconds (300 of them) and then expects to live them out in years; What else can account for his daily baffled expression when I inform him that his time is up? ME: Where is it written that you must have five-minute breaks?! THEM: Mom! EVERYONE has five-minute breaks!! ME: I don't! I never get a break! What about that? For some reason, this morsel of truth never evokes anything other than sheepish smiles: It's true, but they don't care! Okay, I do take breaks. I start dinner, wash the dishes and perform other wonderfully rewarding activities. I nurse the baby when she's ready for it, but I keep within ear shot of the "classroom"--just close enough to keep up my stream of "That's enough, no more talking! Okay, be quiet, you two! Brian, did you finish ALL those spelling words? Kaitlin, I thought you were reading!!" Update: In hindsight, I can say with assurance that school isn't always fun--and shouldn't be. Why not? Because sometimes learning is hard work. When it happens to be enjoyable, that's great. Make the most of it. But life often isn't fun or enjoyable--it's just required doing, going, and doing some more. Homeschooling is really about preparing kids for life. So, if your homeschooling days are similar to what ours used to be, relax. Working through the hard days and teaching kids to work--especially when it's not fun--is a good and right thing. Even if it requires frequent five-minute breaks! For a brief history of modern homeschooling, see this article from the Coalition of Responsible Home Education. For a list of famous men and women who were homeschooled, see here. Are you a homeschooler? If so, would you go back to government schools or not? Leave a comment and let us know! Linore Rose Burkard is best known for historical romance novels with Harvest House Publishers, and now writes YA/Apocalyptic Suspense as L.R.Burkard. Linore teaches workshops for writers, is a mother of five, and still homeschools her youngest daughter—preferably with coffee in one hand and an iPad in the other. 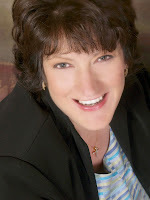 Join Linore's mailing list and be automatically entered into a drawing for a free copy of one her books. Winners announced in every issue of her newsletter. Do you live in or near Ohio? 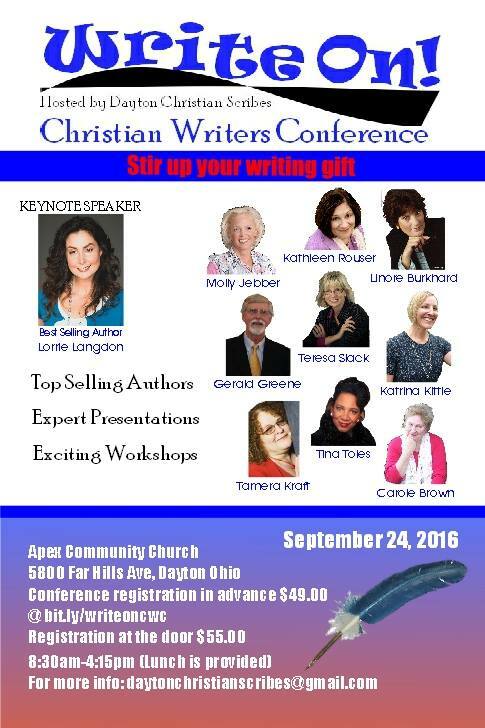 Join Linore and a fabulous lineup of authors and instructors for the WRITE ON! Christian Writers' Conference coming up soon in Dayton, Ohio. To see the details and schedule, click HERE. (New! Student Discount Available. Save $19!) But hurry! Pre-Registration closes Sept. 23rd. Walk-ins welcome, but you'll pay more. First let me state that I am not anti-homeschooling. However, I do have questions and concerns about it. I like the idea of homeschooling because public schools have become grossly inadequate and spiritually unhealthy, in my opinion. They can be dangerous environments as well. So I guess you would call me a bit conflicted. My worry is that mothers (and fathers ) are already overloaded, especially if the mother has to work a full time job outside the home. Next, kids tend to manipulate their parents as per the constant five minute breaks. My thing is that on a job they won't get constant breaks like that. Developing a stronger fortitude now helps them adjust as adults. Today, people (children especially) have shorter attention spans than ever, especially for distasteful chores or duties. Between sound-bite news and Tweets and quick fix everything, folks don't have the patience or tolerance of a mosquito. When I witness the work ethic of too many (not all) young people, I cringe. This refers to public, private or home-schooled individuals. Homeschooling seems to omit that foundation of listening to someone other than dad and mom. In adulthood, on the job, no matter what career path they take, they will have to listen to the boss and do the job efficiently without complaint...period. You said homeschooling was not to prepare them for life, if I remember correctly. Isn't all schooling supposed to educate, teach children how to learn and develop skills and ideals for life, even on a social level? Just saying...maybe I'm just too old fashion. Hi Marlene, thanks for sharing your concerns! Excellent questions. 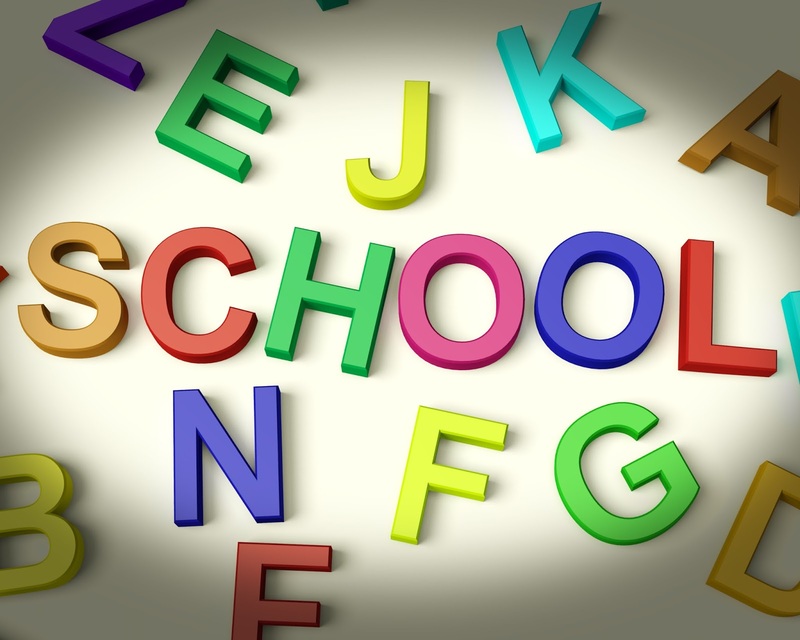 First, your observations about public school don't seem conflicting to me--you recognize the inherent failings of the system, period, which is precisely why many home-schoolers choose to educate their children at home. As for overloaded parents: That is something to consider, but not an impossible hurdle. The child does need an adult at home--but there are many programs of study that are a) either entirely online, so that the parent is a supervisor, not the actual teacher; or b)available on CDs so that a computer is necessary, but again the burden of teaching is not on the parent. 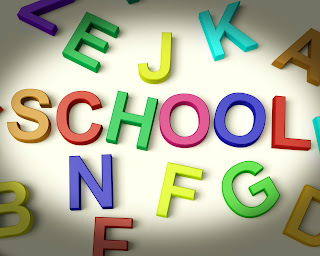 Most home-schoolers prefer to teach, and there is an abundance of state-of-the-art curriculum available to help them do this, but if the parent simply wants to remove their child from the negative influence of the government school (or dangerous peers),but has no time to be a teacher, the packaged online or CD curricula work well, especially for older kids. As for preparing for life: You read me wrong there--my statement is that homeschooling is ALL ABOUT preparing kids for life. And maintaining control IS important. But homeschooling does not "omit the foundation of listening to someone other than dad and mom," because most HS children are enrolled in outside activities such as sports, dance, music, and so on. (However, God ordained the family structure so ingeniously that even if a child is ONLY subject to obeying his or her parents, if they learn this well, they will take that obedience into the world with other sources of right authority. Historically, young people were better behaved and more respectful when they did NOT engage in so many outside activities but learned proper respect at home. )I agree that our work ethic here in America is lacking, but not across the board. We have a government encouraging the welfare system as a way of life...this is counter to what HS families teach and encourage. In my experience, homeschooled children (not all, but most)are among the most polite, best behaved and well-rounded young people I've known. You can't teach Bible in the government schools, but most HS kids have it as one of their core classes. For answers to any other questions, please go to HSLDA.org. (HomeSchool Legal Defense Association.) I should have put the link at the end of my post. Hope this helps. Thank you, Linore, for giving me more to consider about homeschooling. I will add just one more thing to the conversation. The values parents SHOULD instill in their children ought to be taught whether the kids are in public or private schools or home schooled. I hate to say it but I feel too many parents have and are dropping the ball. Much of our woes are because the younger generations were not taught about God, social manners or good work ethics. This should be by example as well as just telling them. Years ago (decades actually) when I was in school we got oyur values from our parents not the culture, media or school system. I guess that's seriously old school now...lol. I do believe, we blame the schools and the government but really how much responsibility falls on the heads of parents running after careers and positions, material possessions, a romantic life or drugs or whatever, at the expense of raising their children properly? We've been told we can have it all; we can do it all but it seems to me we can't do it all well. So what gets neglected and who suffers? It's a hard balancing act for parents in today's culture. So homeschooling sounds like a good alternative to me. I had a friend who home schooled her son until high school then she put him in public school. He was far advanced compared to his peers and that always impressed me. How do you feel about mixing the two. Some home schooling and some public school. She said she wanted him to have a little public school experience and do the prom and public school graduation thing. It worked out well for him. Hi Marlene, Ultimately, you're absolutely right, the responsibility lies in the family, not outside of it, for raising children well. And yes, feminism and misplaced priorities took many mothers from their homes (my own mother was one of them). I like what you said, "we've been told we can have it all, do it all, but we can't do it all well." Precisely! As for mixing homeschool and public--we did that with most of the kids. We actually did a little of all options--Christian school, home school, and public. There were things I disliked about Christian schools, but there was very little that I LIKED about public. I think home-schooling is best, wherever it is possible. I understand that not everyone can do it. Thanks again for the discussion. This made my day! As a homeschooling mom of four I know quite well the 5 minute break conundrum. I hear all the same things you wrote about. I laugh at them and inform them that kids in school work just as hard as them and do not have more breaks than them. Homeschooling is excellent at teaching them discipline in work ethic and family dynamics. You are right in that it is not always fun. Hard work isn't always fun, but we need to learn how to do it no matter what. What a great reminder for me! I do giggle at people who throw the "socialization" issue at me. I have been told many times that my kids know how to speak to and interact with adults more than schooled kids. That is my goal - we aren't raising kids to know how to interact with kids their own age - we are raising kids to become adults and know how to live and work in an adult world with all ages. Thanks for sharing today! Right on, Susan! Studies show that HS kids get along better with all ages, unlike their government school counterparts who cling to their own age group. (The blind leading the blind, is how my husband and I think of it. )So glad you came by and got a lift from the article! How neat that you're right next door to your daughter! That's a win-win for everyone. I didn't know you homeschooled k-12, Deb, that's wonderful. Personally, I liked homeschooling best when I had a crew of elementary ages--those years are the most fun! So if your daughter's son is still small (and I think I remember that he is) you still get to have fun like that. Just yesterday I helped him with a papercraft Indian Village that he had to make. He's too young to use an xacto knife, so I cut everything out for him. I am usually called upon whenever they are having a hard time with Math or when a major art project is needed. Lucas is in the 3rd grade, so yes, it's the fun years right now. I'm a graduated homeschooler (my mom homeschooled my four siblings and I.) So I don't really know about seeing it from the mom/teacher perspective, but from the child/student perspective. My brother went kindergarten through third grade, my sister through second, and I through first grade at the public school before my mom and dad decided to pull us out and have us homeschooled. There were multiple reasons for this, but among them were that my brother was exposed to indecent websites through friends at school, and that my sister would come home crying because a boy at school was hugging and kissing on her (I know, they were only second graders, but my sister didn't like it.) But when my parents asked the teachers to stop the boy from doing so, if they noticed it, the teachers replied that they couldn't do anything about it and my sister would just have to deal with it. I think my parents were frustrated that the teachers were supposed to be in control, but apparently they could do nothing to actually control anything. But I think one thing that also helped tip the scale towards homeschooling was that on grandparents day all the kids were supposed to bring their grandparents and let them tell about what they did for a living. However, my brother was told he could bring my grandpa, but he couldn't let him speak because my grandpa was a preacher. My youngest sisters graduate this year and my brother is getting married next year. All five of us plan to homeschool our children. I loved your post! Elly, thank you so much for your comments! I love hearing from homeschool grads. I've heard many stories similar to yours concerning why parents pull their kids from the government schools. It's a sad day for America when a grandfather is told not to speak because he's a preacher!! Our founding fathers would turn over in the grave. The freedom OF religion is interpreted by the media and politicians (and school personnel) as freedom FROM religion. That was never the intent of the founding fathers, nor is it the intent of the Constitution or any Amendment. I applaud your plans to homeschool your own kids, and may many blessings be yours (and your siblings') for doing so.